Jane Haskell (1923–2013) was a fine artist. She began to work in fluorescent and neon lights in the 1970s, which eventually evolved into the incorporation of light and neon with the painted surface. 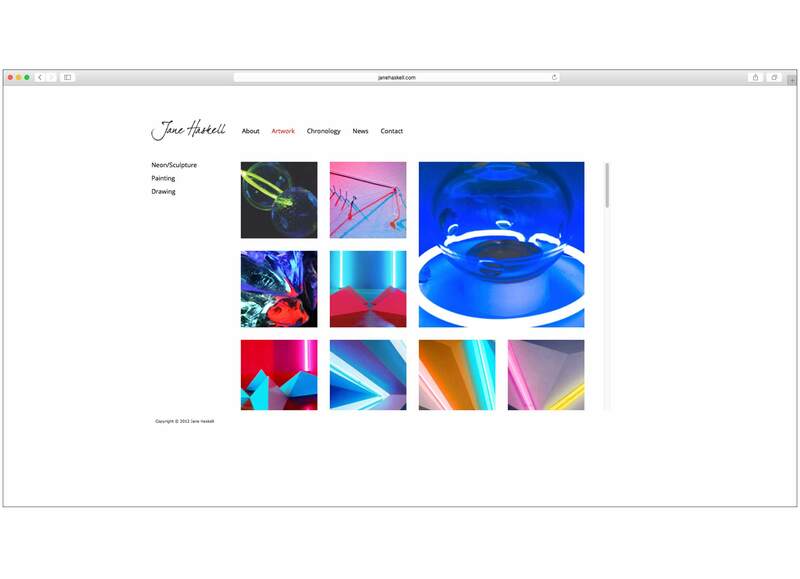 Haskell’s work is included in the collections of the Carnegie Museum of Art, Pittsburgh PA; Mead Art Museum, Amherst College, Amherst, MA; Milwaukee Art Museum, Milwaukee, WI; Museum of Neon Art, Los Angeles, CA; and Westmoreland Museum of Art, Greensburg, PA. 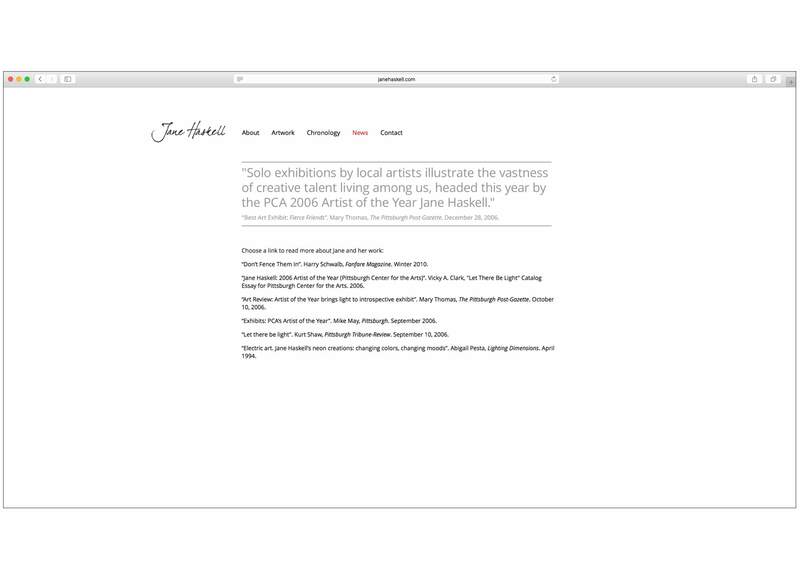 In 2006, Jane Haskell was named Artist of the Year by the Pittsburgh Center for the Arts. 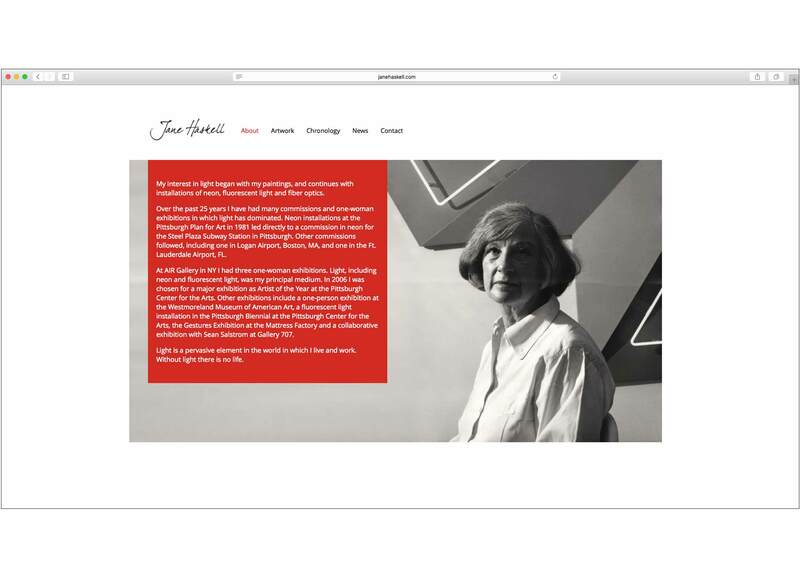 Jane Haskell wanted a legacy site that cataloged her illustrious career and showcased all of her art. Haskell approached EMG based on our proven track record of developing visual identities that perfectly complement the subject matter. We knew that her work and identity needed to speak for itself. 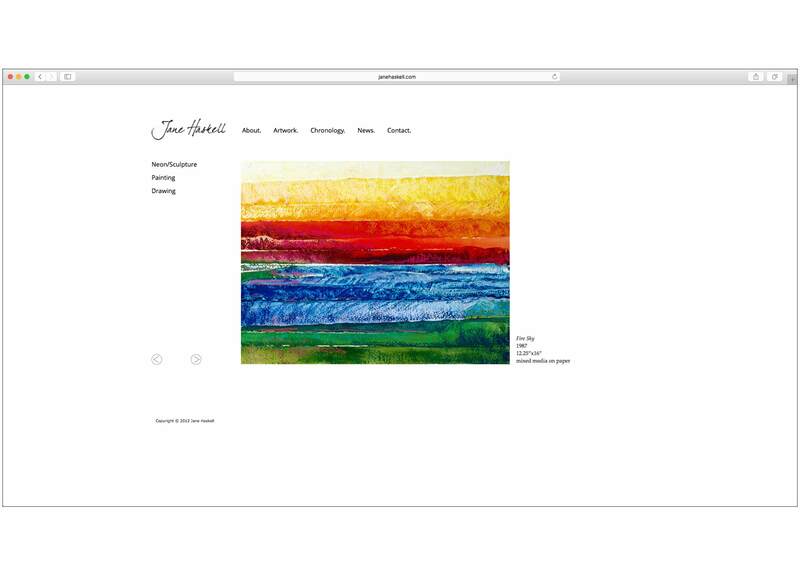 To accomplish this, we created an identity that features her signature, and a website that allows her visitors to experience her work as though it were displayed in an art gallery. Our objective was to elegantly present her work and capture the essence of each piece, whether it be an oil painting or a room-size neon and glass installation.